You’ve heard all the hype: ‘The most beautiful city in Europe’, ‘You could never run out of things to do’ etc. Beautiful – yes. Large – no. Prague is a compact capital, incredibly popular with tourists but with a relatively modest number of ‘key’ sights, making it easily manageable for a weekend break and best appreciated on foot. Walking across the Charles Bridge first thing in the morning or late at night is really the only way to appreciate its beauty, as at other times of the day it’ll be far too crowded and overrun by hoards of tourists. So start your first day here, crossing the bridge from the old town to Malá Strana (lesser town). Make your way through Malá Strana’s picture perfect lanes up to the Prague Castle complex (Hradčany). It’s free to wander the castle grounds, enjoy the great views over the city & enter the enormous St.Vitus Cathedral. If you’re interested, there are also a number of other sights within the grounds (require entry fees). If you’ve timed it well you can catch the changing of the guard. 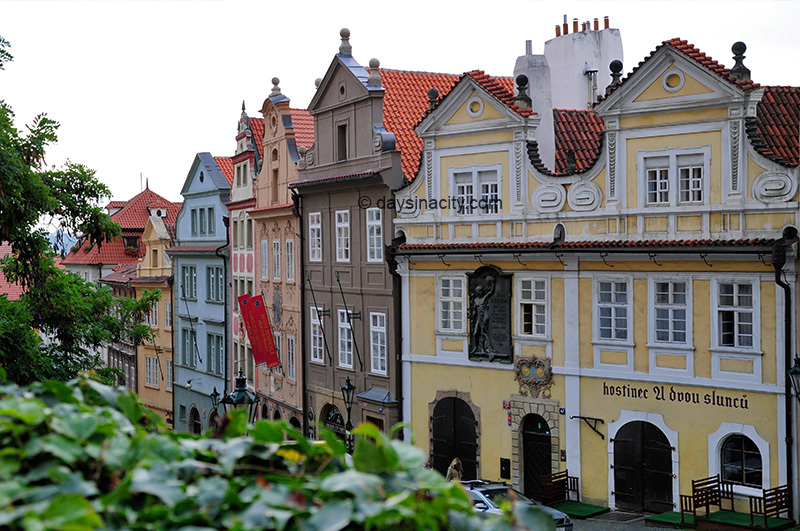 Walk down Golden Lane before making your way back down to Malá Strana. After grabbing a bite to eat head into St Nicholas Church, one of the most impressive Baroque buildings in Europe, and if you think it seems impressive from the outside, just wait until you see the ornate & over-the-top interior. 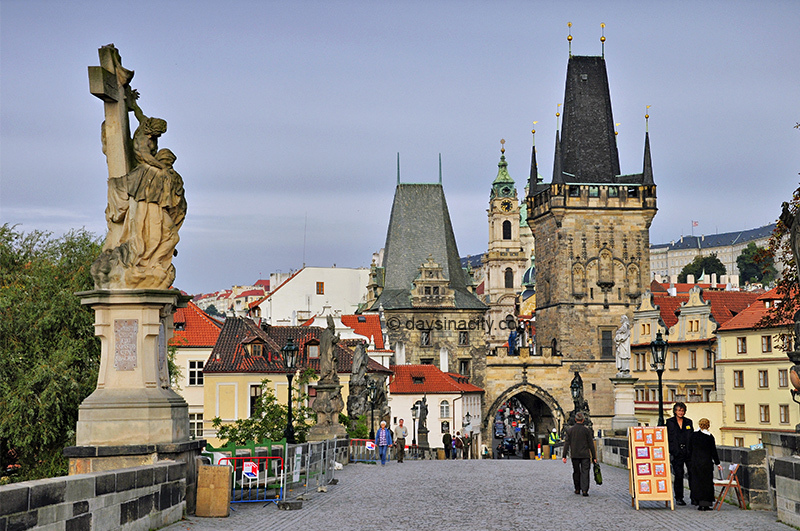 In the afternoon, make your way over to the Old Town Square by crossing the Charles Bridge again. The square is lined with many iconic sights, the Tyn Church, Jan Hus statute, another church named after St. Nicholas, Astronomical Clock & Old Town Hall. Don’t fret if you miss the clock’s show titled ‘The Walk of the Apostles’. Despite the hundreds of tourists that eagerly await to see it every hour, you’ll never have seen anything quite so anti-climatic. Continue exploring the picturesque and colourful old town for the remainder of your evening. The Jewish Quarter in Prague is one of the cities most historically significant and contains many well preserved sights to fill your morning, many of which are incorporated into the Jewish Museum, such as the Old-New Synagogue (oldest Synagogue in Europe), the old cemetery, Jewish Town Hall & and a few other Synagogues. Combined tickets can get you into multiple sights of your choice. In the afternoon, in contrast to the historic sights and old town, spend some time in the ‘new town’ around Wenceslas Square. 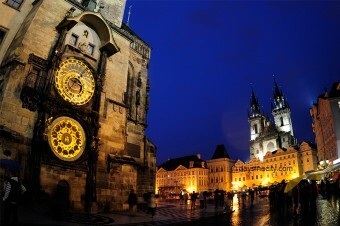 Here you will find a different side to Prague – a bit less fairy-tale & more ‘real’ which some may prefer, others may not. There is no shortage of dining options, bars, shops and tourist tack too of course. If you can, consider wandering by the famous ‘Dancing House‘ (aka. ‘Fred & Ginger’). To start your third day in the city, if the weather is clear head to Petrin Hill. You can either walk the challenging path to the top or take the cable car. Once at the top, you can also opt to go up the mini Eiffel Tower for outstanding views over the city. After making your way back down spend the rest of your day exploring Malá Strana & the Old Town at a relaxed pace. Perhaps head into Wallenstein Palace & gardens (home of the Czech Senate) before crossing the river back into the Old Town. No doubt you won’t be able to resist checking out all the amazing bakeries and glass shops along the way. There are many boats that can take you on a river tour, but are less spectacular than simply exploring on foot at your own pace. Prague is also a city of music, so in the evening check out what’s on at the Rudolfinum, Municipal House, National Theatre, or Czech Opera. Follow the Vacationers itinerary for Days 1-3, however consider spending more time at the numerous sights of the Prague Castle complex on Day 1 & save the old town for the more relaxed paced Day 3. - Kutná Hora. Ancient silver mining town part of the UNESCO World Heritage list, with the ‘Bone Church’ close by in Sedlec. - Terezín. Terezín Memorial and working concentration camp during World War II. - Karlovy Vary. Aka Carlsbad. Elegant and peaceful spa town. - Pilsen. Take a visit of the brewery. - Cesky Krumlov. Gorgeous historic little town but note it’s quite far from Prague. How many days do you think visitors should spend in Prague?